If any of your questions are not addressed below, please don't hesitate to contact us. Q. Are these sinks CSA approved? A. Yes! Ridalco sinks are CSA approved. The only exception is if the optional access (lift-out) gate is selected. 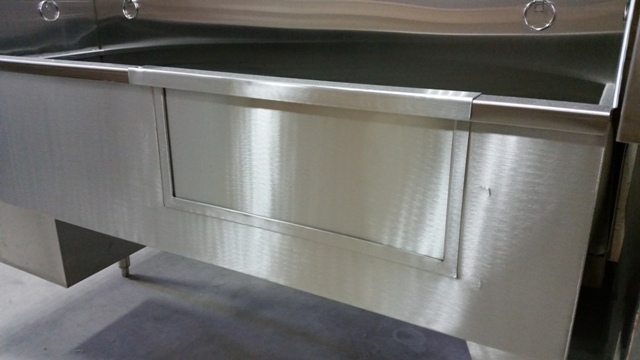 A sink with the access (lift-out) gate is not watertight and, therefore, is not CSA approved. 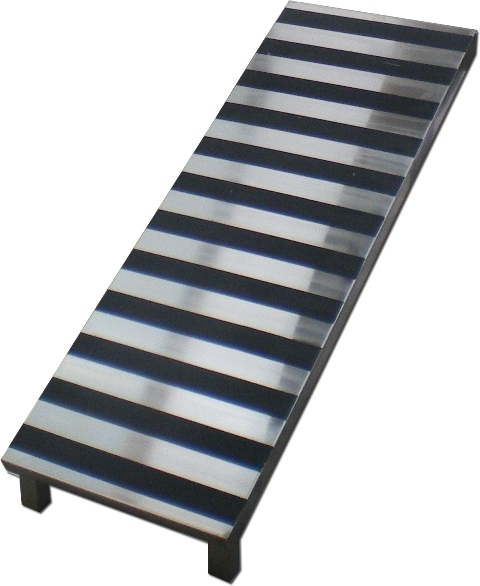 For a CSA approved alternative, you will want to select the full-length ramp rack instead. Q. How do I wash my small dog in such a deep sink? A. 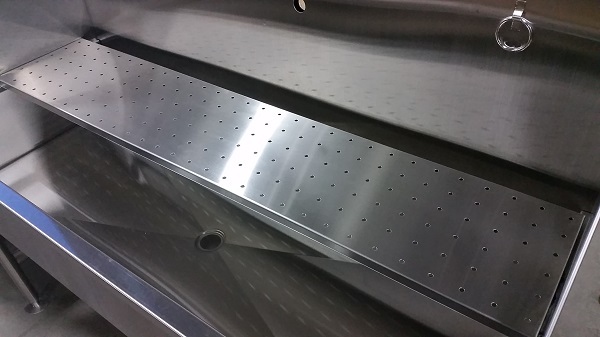 The perforated stainless steel work shelf raises your dog to a more comfortable, working height. The shelf sits on tracks mounted at each end and is removable to make way for larger breeds. Q. How do I get my dog into the sink? A. 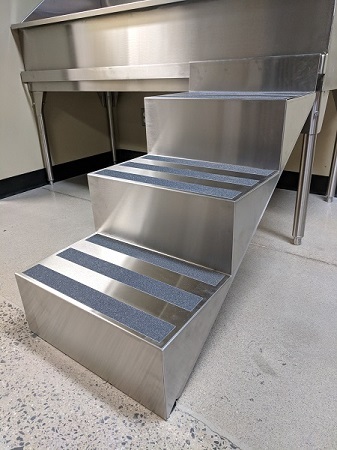 The 48" ramp or 3-step stairs are available as options to assist in getting your larger breed dog into the sink. You could also use a set of pet stairs or a step-stool for the dog to climb up into the sink. If your dog is not too heavy, you can simply lift them up and into the sink. 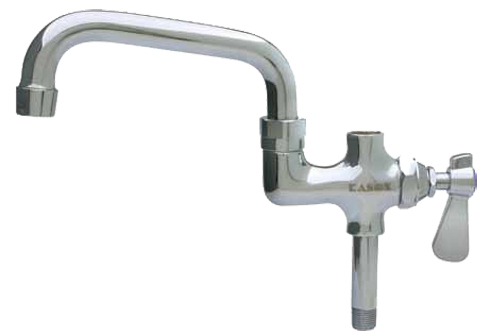 Q. I am interested in using the faucet with the shower spray assembly, but do I have to hold the shower spray handle at all times to keep the spray on? A. No, there is a holding ring that can be placed to maintain the spray stream. Q. If I want to fill up the sink quickly or fill a pot or pan in the sink, do I have to use the shower spray? A. No, the optional add-on spout is available for this purpose. Q. Why do I need a stainless steel sink to wash my dog? A. Stainless steel is durable, corrosion resistant, and easy to clean making it a great choice when washing a dirty or muddy dog. Using a dedicated stainless steel sink for your dog will save your bathtub from possible damage. The Ridalco dog sink also stands taller than your bathtub, helping to eliminate unnecessary back strain. It also works great as a general utility sink that can be used to clean tools and paint brushes. For more on this, check out our blog! Q. How do I know what size of sink I should buy? A. This depends on the size of dog(s) you might be bathing. The most common size purchased by groomers and vets is the 60" model with perforated small breed work shelf. This allows them to fit dogs of all sizes in the same tub. For at home use, try to think about the size of your dog now and whether or not you'd ever get one bigger than that in the future. As a general rule, measure your dog from their chest to tail and select the tub that is larger than that. For example, if your dog measures 26" from their chest to tail and you think you won't ever have a larger dog, the 36" model is probably best for you. Q. How does the sink come to me and what do I have to do to get it assembled and ready for use? A. We ship our sinks all across Canada and the USA using a common LTL freight carrier. The sink will arrive in a wooden crate, so you'll have to carefully open the crate using a crow bar or other prying tool. The only assembly required is to attached the 4 legs using the supplied hardware. The legs are equipped with adjustable feet, so once you place it into position, simply adjust the feet to level the sink. It is recommended that you hire a certified plumber to complete the installation from there. Q. I see you offer an optional removable front gate and ramp assembly as options...why would I want those? A. The access (lift-out) gate and 48" ramp are designed to help get larger breeds into the tub. We also offer a set of 3-step stairs and a full-length ramp rack to keep the tub watertight and CSA approved. Remember, the access (lift-out) gate is a non-CSA approved option.